Welcome to the Jungle! 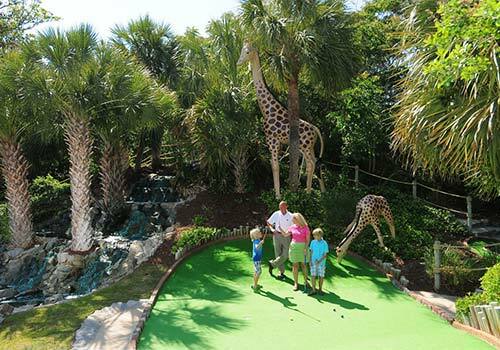 Jungle Safari Golf, that is. Go deep into the Myrtle Beach forest for an adventure unlike any other. 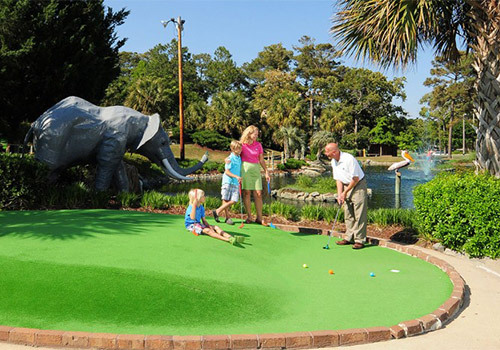 While you tackle an insanely fun mini-golf course, keep your eyes peeled for elephants, giraffes, tigers, lions, and other wild animals. 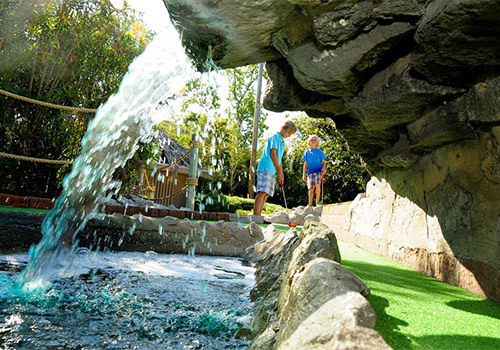 Grab your safari hat, binoculars, putter, and mini-golf ball and get ready for the wildest journey of your life! 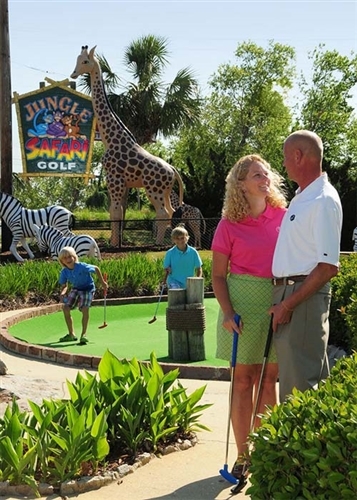 What are the hours of operation for Jungle Safari Golf? 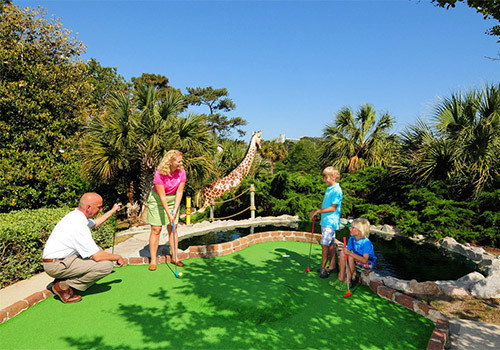 Jungle Safari Golf is located at 71st Ave. N. and Kings Highway in Myrtle Beach, SC.